Earlier this month, X-Men Gold #30 delivered the superhero social event of the year, at least in the Marvel Universe. But it didn’t quite go as planned. 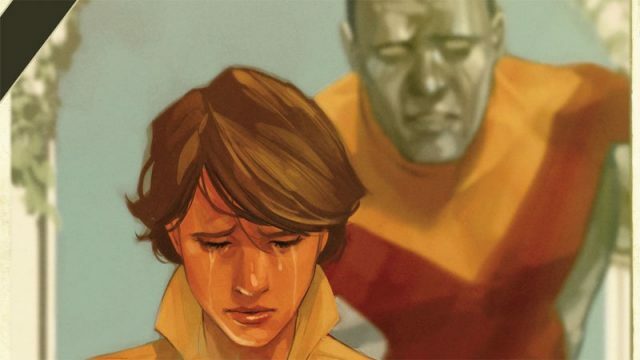 There was a wedding between two longtime lovers, it just wasn’t between Kitty Pryde and Colossus/Peter Rasputin. That ship appears to have sailed, and there may not be any way to save it. They’ve had their problems before, but Kitty leaving Peter at the alter is going to be hard to comeback from. Another wedding is probably out of the question too. 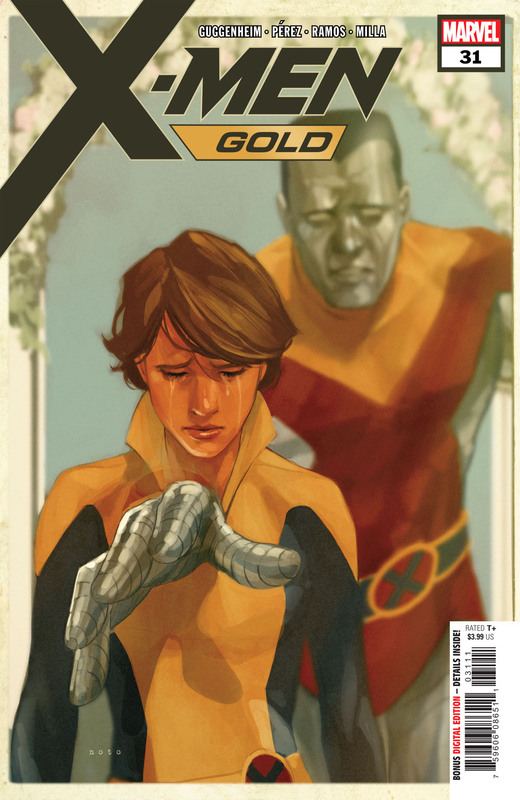 Next week, writer Marc Guggenheim and artist Pere Perez will begin picking up the pieces of this shattered union in X-Men Gold #31. And while the newlyweds don’t appear in our exclusive preview pages, we do briefly catch up with Kitty and her now ex-fiancé. Although ex-friend may be a better description at this point. Their interactions here make it seem like they can barely stand to be in the same place, much less the same team. Meanwhile, Nightcrawler/Kurt Wagner and Prestige/Rachel Grey apparently spent the night together in their hotel room. Everything’s coming up roses for this happy couple, expect for one major problem. For months, Rachel has been having flashbacks to her life as a mutant hunting Hound in the future. Now, it appears that Rachel’s mental problems have been a deliberate attack from one of the team’s oldest foes. And things are about to get much, much worse. You can read the full exclusive preview in our gallery below. X-Men Gold #31 will be released on Wednesday, July 4.